Imagine someone playing ping pong without using his hands. Not only this, imagine him playing against worlds leading ping pong players. Ibrahim Hamato, armless table tennis player who refused to give up playing after a childhood accident left him without any arms. He not only learnt to play without arms but also compete against the world’s top players while holding the bat in his mouth. 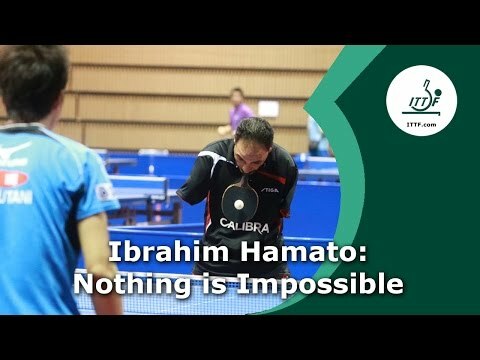 Watch this inspiring video showing Ibrahim Hamato at a recent competition in Tokyo where he met world number 2 Ma Long in a fierce battle. Ibrahim Hamato grew up in northern Egypt. Apart from ping pong, Ibrahim is also a great soccer fan.